Organikka (Bruno Faria) is a psytrance producer from Almada, Portugal. 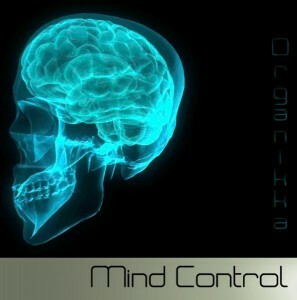 Mind Control is his debut solo effort, released by Bolivian netlabel Neurotrance Records. Here you can expect strong kicks, throbbing bass lines, and full power melodies showing the influence of the South African “twilight” style. Mastering and artwork by Organikka. MP3 Download | FLAC Download | WAV Download · Download count: 11,262. Released under a Creative Commons licence for noncommercial usage. For bookings please contact [email protected]. Many more releases from Neurotrance Records can be downloaded direct from Ektoplazm. Very Very Nice! (Not Only The Artwork) :) More Please! Good stuff :D i love the “streety” attitude and energy of this album. Hasan Baba Psyshuffle – classic! yes very dancefloor oriented high energy stuff, can be overwhelming at times but for the real fans a track like ‘Halloween’ really hits the spot. Great sounds and great artwork!! !